Rand Tower is the ambitious project of Minnesota aviation pioneer Rufus R. Rand. Rand, a family member of The Minneapolis Gas Company, served in WWI as a pilot and once back home, fulfilled his dream to develop a building that could stand as a testament to the future greatness of the city. It was built in 1929 by the nationally renowned Chicago based architecture firm Holabird and Root, costing over $130,000 and encapsulating Rand’s love for aviation. The building stands 26 stories tall and boasts Art Deco ornamentation throughout its entirety featuring a stepped limestone facade, Terrazo floors in the lobby, and a bas-relief depiction of twin-figures of Mercury, each holding a bi-plane. The design of the building’s exterior was partially influenced by the recent changes in New York City zoning laws. As buildings grew taller, less sunlight could reach the surrounding streets, forcing buildings step back as they rose. These zoning laws would set the stage for future generations of skyscrapers throughout the country. 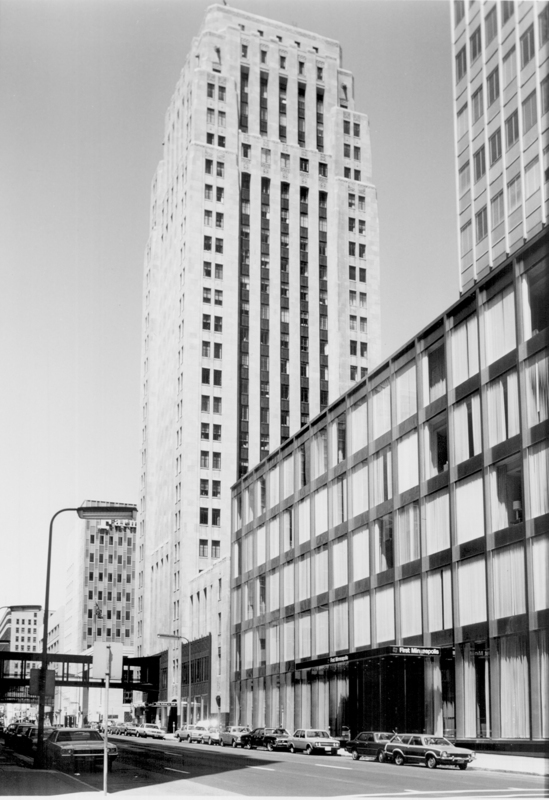 Rand Tower, along with the recently constructed Foshay Tower in 1929, continued to dominate the Minneapolis skyline for decades. The building was renovated in 2008 and now serves as the headquarters for multiple corporations. 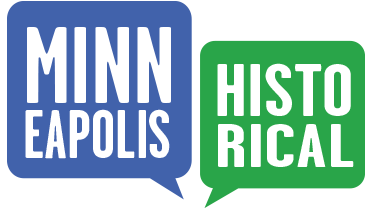 Preserve Minneapolis, “Rand Tower,” Minneapolis Historical, accessed April 22, 2019, http://minneapolishistorical.org/items/show/105.